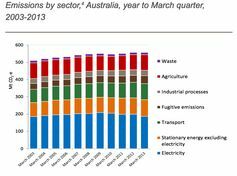 When will Australians finally stop wasting our energy? From flicking on a light to travelling around town, our lives are utterly dependent on energy. That’s why it’s so surprising that Australia has been so bad at thinking about our country’s future energy needs. Even after years of sharply rising electricity prices, as a nation we still take it for granted that we’ll have affordable power and fuel for as long as we want them. With a new federal government in power, what – if anything – has changed? A week before Christmas last year, Industry Minister Ian Macfarlane released a new issues paper as the first step towards releasing a draft policy (officially known as a Green Paper) in May this year, to be followed by a final policy (or White Paper) in September. 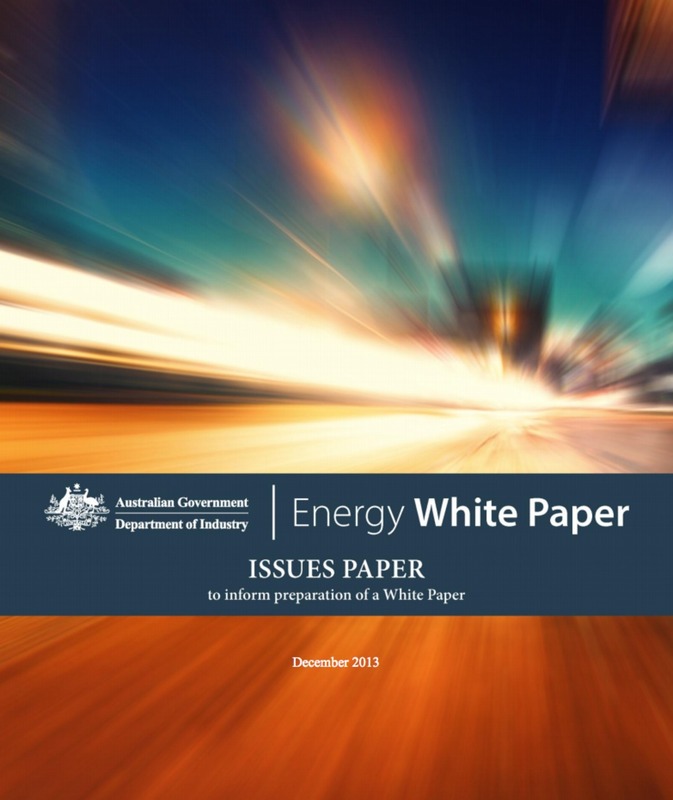 Industry and community submissions on that issues paper are due by February 7, so if you’re interested in Australia’s energy future, read on. 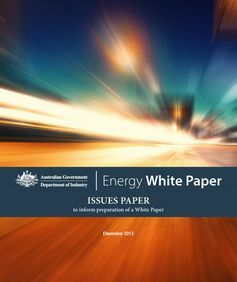 The previous Labor government published an Energy White Paper in 2012, which painted a fantasy picture of ongoing energy growth and only minor changes in electricity and transport. The paper and submissions are no longer available on the Department of Industry website. But they have been archived by the National Library of Australia. And there is plenty of critical analysis still available about its conclusions. The Abbott government’s issues paper is light on facts and statements on government positions, so it’s difficult to evaluate. At 46 pages (35, if you ignore the blank pages), it doesn’t take long to read. On a positive note, the paper does acknowledge that we face major challenges in electricity and gas supply. It also seeks to explore potential for “energy productivity improvement” – the popular term among policy makers for energy efficiency. However, overall it focuses on quite narrow, specific and short-to-medium term energy issues, which largely reflect the perspectives of the dominant players in the energy sector. For example, “the appropriate role for government in the energy sector” is linked to “scope for privatisation”. and removal of unnecessary barriers to foreign investment in Australian energy. As stressed in the minister’s media release, the paper is heavily focused on “reducing cost pressures on households and businesses”. But the seemingly obvious aim of keeping energy prices as low as possible is misplaced. Instead, we know from countless reports over many decades that Australian homes and businesses could use energy far more efficiently – and in doing so, save significant money on energy bills, even when the price of electricity or gas (which is largely out of the government’s control) goes up. 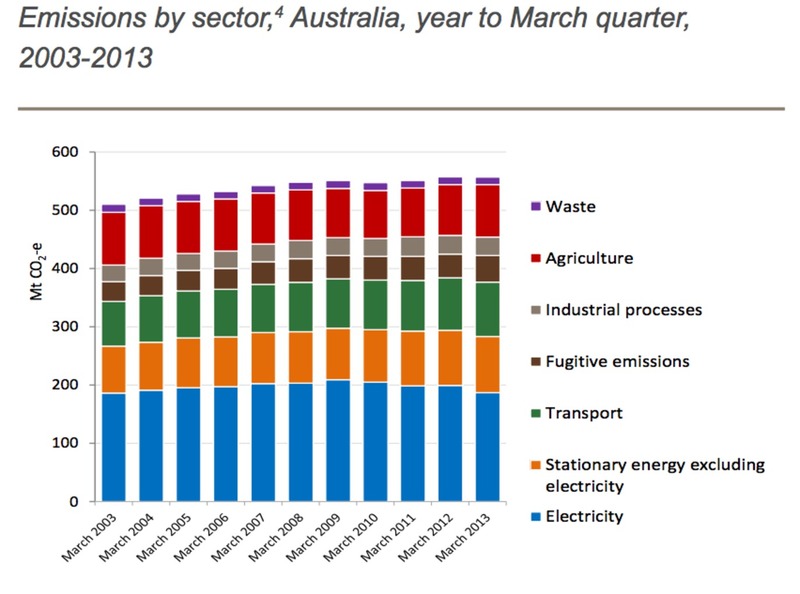 The phrases “climate” or “climate change” do not appear at all in the paper, even though – as the graph below shows – energy contributes more to Australia’s greenhouse gas emissions than anything else. There is brief acknowledgement (on pages ii and 28) that the energy sector must play its part in achieving the Australia’s current target to reduce our greenhouse gas emissions 5% below 2000 levels by 2020. But there is no reference to the possibility of needing to aim for deeper cuts, or of the risks to Australia’s energy sector if our major fossil fuel customers (particularly in Asia) pursue tougher climate response strategies. For example, the Chinese government is under growing pressure from its own people to clean up the country’s deadly air pollution. The global energy picture is changing rapidly. Late last year, the International Energy Agency’s 2013 World Energy Outlook estimated that China’s net coal imports will peak by 2020. Under its climate action scenario, global coal consumption declines by a third by 2035. Energy is responsible for two-thirds of global greenhouse gas emissions. The International Energy Agency points out that we simply cannot burn more than a small fraction of fossil fuel resources without exceeding a global “carbon budget”. 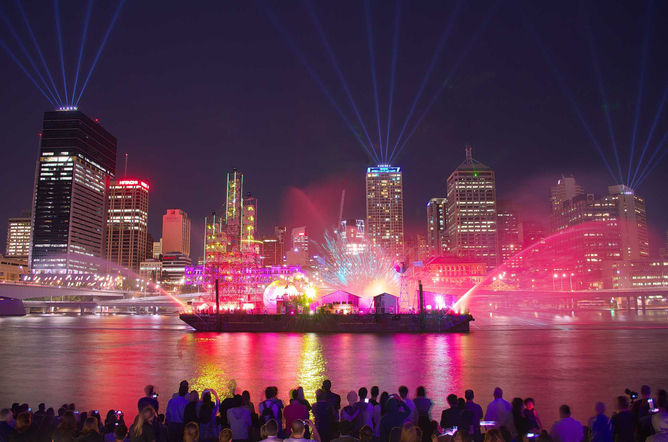 Climate response must be core business for Australia’s energy sector. The International Energy Agency recommends countries adopt energy efficiency, limit construction and use of coal-fired power stations, minimise methane emissions from oil and gas production, and accelerate phase-out of fossil fuel subsidies. The World Bank recommends introducing a robust carbon price, removing fossil fuel subsidies, and encouraging adoption of clean energy. There is a clear message here for Australia. Yet, judging from this issues paper, Australian energy policy looks likely to limit growth of renewable energy and support increased fossil fuel production, while allocating miserly resources to energy efficiency. This focus is based on a narrow understanding of the role of energy in our economy. It’s pleasing that the government is opening these issues up to discussion. 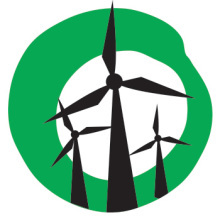 But, given past experience with the energy sector, I lack confidence that views of the community and proponents of more sustainable energy options will be able to compete with the powerful lobbying of the major energy companies, as well as deeply embedded assumptions that the way we use and produce energy will largely continue unchanged. Let’s hope that vested interests don’t dominate this process, as the “Greenhouse Mafia” did in the last Coalition Energy White Paper in 2004. Despite my lack of optimism, I’ll be firing up the laptop to prepare a submission before the February 7 deadline. I hope many others will too.